Azalea Blossoms. Canon 7D | ef-s 15-85mm | ISO 100. Click on image for better view. 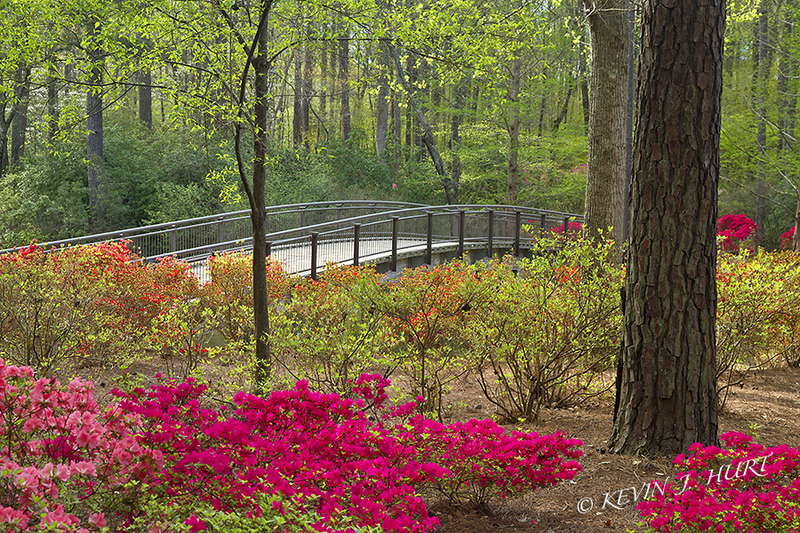 If anyone happened to watch The Masters golf tournament on television this past weekend, it would have been impossible to miss the beautiful colors of the many azalea blossoms. It is not an accident that the tournament is played each April as the Georgia landscape comes to life at that time. However, Augusta is not the only place where one can see those blooms. Further West in the state, one can find breathtaking views of their own. This past Friday I visited a favorite local hot spot and was greeted with the scene featured here. With the overcast sky, I had soft muted tones that were simply vibrant. The calm windless day made for a creamy smooth lake reflection. This was shot at approximately 11:00 A.M., which would have been impossible on a sunny day. It’s a simple composition but one that I really enjoy and hope you do as well. I’ve been extremely busy since my last post. Many trees have bloomed and by now, many have passed their peak. With each passing day, I’ve cringed at the inability to get out and photograph, using some of those blooming branches as bird perches. 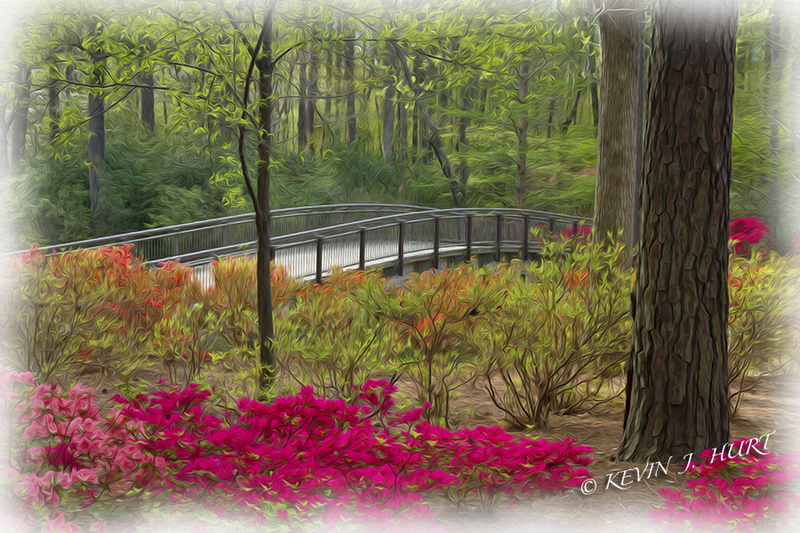 Checking the local reports, I knew the Azalea’s were blooming at a local garden I often frequent. Realizing how fast the blooms can come and go, I decided to put everything aside this morning and hit the trails. I found beautiful splashes of color at the garden and was thoroughly enjoying my morning stroll. When photographing a hardwoods scene, I prefer to have an overcast sky as this allows me to capture great detail, depth of scene and color. If the sun is shining, then one has to contend with dark shadows and bright highlights. Checking the weather forecast the day before, the morning was supposed to be “mostly cloudy” so I knew I’d have periods of great opportunities. I photograph in manual mode when shooting landscapes and often shoot between f/8 and f/16. I saw a lot of people photograph on and near this bridge, but to me, the best photo was just passed the bridge, looking back at it. 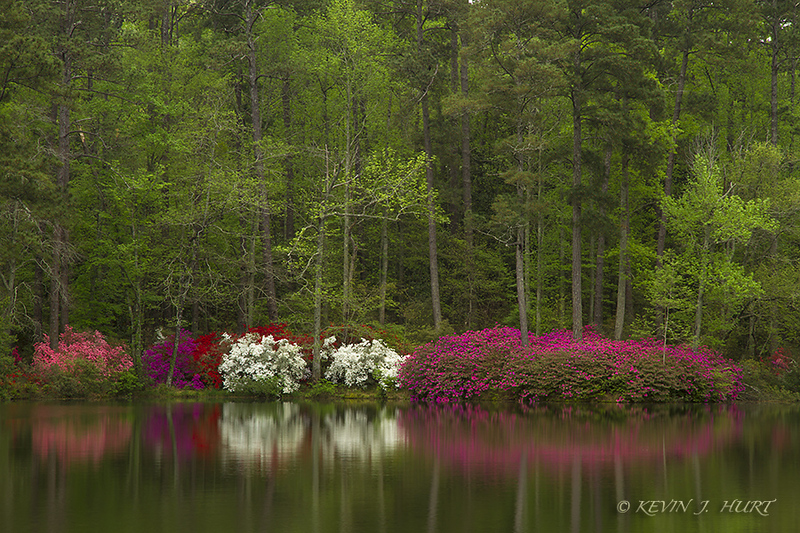 To me, it was as important a photographic element as the blooming azaleas, and including both in a pleasing composition was key to the success of this image. I am including a copy of the image as it was captured in the field (below). Above is an artistic rendition of the scene, created in Adobe Photoshop CS6. I’m pleased with both images but the artistic rendering seems to best capture the mystery of the gardens.